Kaufman illustrates the ways in which several companies created professional human resource management (HRM) models after World War I. This is the most valuable part of the book principally because he used the records of the Industrial Relations Councilors (IRC), a consulting firm that began assisting employers in the 1910s. The IRC offered consulting services, provided research, and ran courses on industrial relations topics throughout the nation. 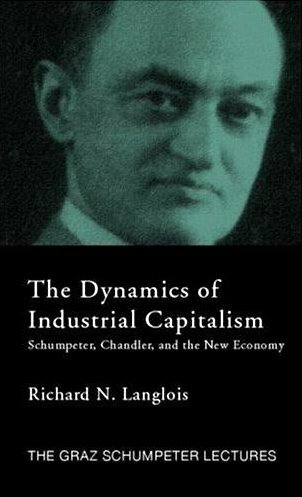 Kaufman, the first scholar to examine these records, believes that “no other [industrial relations consulting firm] before World War II had IRC’s reach and influence” (p. 108). . . . In most cases, these firms, in consultation with the IRC, began to, in Kaufman’s words, treat labor not as “a short-term commodity,” as was common in previous decades, but rather as “a longer-term human capital asset (the ‘human resource’ approach)” (p. 219). Why? Pressure from unions and the law were factors, but “they were less than half the story in the time period we are examining” (p. 228). In his view, employers’ desires to improve “management and productivity” better explain why companies improved workplace conditions (p. 227). Labor historians and specialists in business regulation used to focus on the Progressive Era as a watershed period — e.g., Wiebe (1962), Weinstein (1981), and of course Kolko (1977) — but interest seems to have waned. 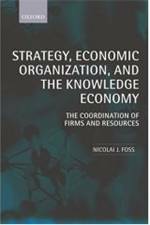 Entry filed under: - Klein -, Business/Economic History, Management Theory, New Institutional Economics, Public Policy / Political Economy, Strategic Management, Theory of the Firm. Written and reviewed by Bruce Kauffman? That hardly seems fair. Oops — typo fixed. Thanks for the catch. Peter, When Ted Snyder and I were rummaging through United Shoe Machinery Corp.’s files and records way back in the late 80’s, we learned that United had had very (small p) progressive programs for employees. (The one that sticks out in my mind were the exercise classes for female employees.) We were told that when United moved from its Beverly (MA) facilities to smaller quarters, it offered its business records to the Smithsonian and that the only ones the Smithsonian wanted were those relating to these employee programs. I don’t know when the programs began but United was established in 1899 and its heyday was pre-1945, so it wouldn’t surprise me if they were initiated in the inter-War period. Someone interested could presumably find the records at the Smithsonian.